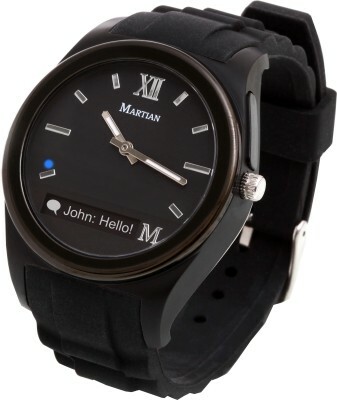 Smarter than smart; the Martian Smart Watch is a classy combination of a traditional watch and futuristic technology. Apart from just telling you the time, the watch offers a variety of features to keep you updated, control your phone and find it when misplaced too. Whether text messages, social media updates, e-mails, calendar remainders or the latest news headlines, you can receive notifications from all your favourite apps without requiring SDK. Now, you can get this watch to tell you only what you want to know. With the Alerts Filter feature you can filter the notifications you want your watch to show. Never miss out on group pictures henceforth. With the phone remote control facility, you can not only remotely control your camera but also turn on the 3-second timer so that you can be in the group picture as well. 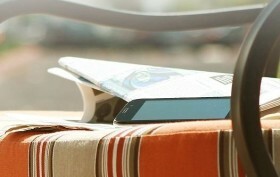 The watch is powered by a built-in rechargeable Lithium Polymer battery that can provide up to 6 days of use time. A fast 2-3 hour charge is sufficient to keep this watch going. The separate analog battery of this watch has a lifetime of up to 2 years. 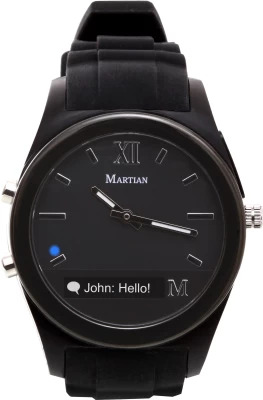 With the Martian Smart watch you can be sure of keeping your phone safe with you at all times. Walk away from your phone and your watch will alert you. The watch can also help you relocate your misplaced phone. The Martian Watch is designed with a 96 x 16 pixel graphic OLED display and an RGB LED light. The OLED displays notifications and keeps you well informed thereby reducing the need to check your phone every time. Featuring a silicone band with a stainless steel clasp, this watch is not just smart, but is also fashionable and comfortable. It has an Upper Command Button and a Lower Select Button. Built with the anti-scratch acrylic crystal, the watch is shatter resistant, while dial and other internal components of the watch remain protected. 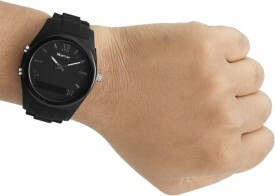 The Martian smart watch is integrated with Bluetooth 4.0 wireless technology and a micro USB port. The USB port can be used to charge the watch or for updating the firmware.